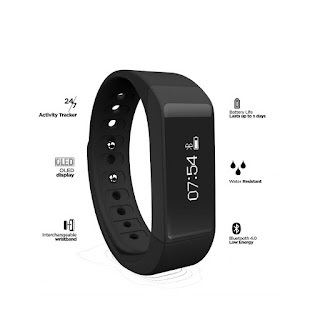 The OUMAX T3 Fitness Band is a small, removable tracking device to track your activity and monitor your sleep. You can capture the total amount of calories you've burned in 24 hours. One size fits all, since each band is adjustable, the activity monitor can be swapped between them. They work with a mobile app for tracking your activity, and wirelessly syncing data to the app via Bluetooth. Oumax Fit T3 Fitness Tracker is awesome! I love that the Oumax Fit T3 Fitness Tracker tracks my calories burned and the quality of my sleep. As the mother of an almost four month old it's so nice to actually show my husband that I heaven't slept, therefore ending the battle of "I got less sleep than you". I also love that I can see that I didn't sleep well and plan a nap into my day. Seeing how many calories I burned is good because of course I have a few pounds to lose still, so I love that I can track calories for the entire day. 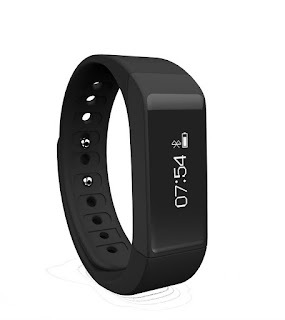 I also really like the find my phone option because I lose just about everything this days and since the Oumax Fit T3 Fitness Tracker is on my wrist I can find my phone with just a push of a button on the tracker. The sedentary reminders are great too! You'd be surprised at how many extra calories you can burn with a little reminder to get up and move by the the Oumax Fit T3 Fitness Tracker. This is a great product and I highly recommend it!